Junior All-Star team from Warm Springs goes undefeated for district tournament in Redmond. 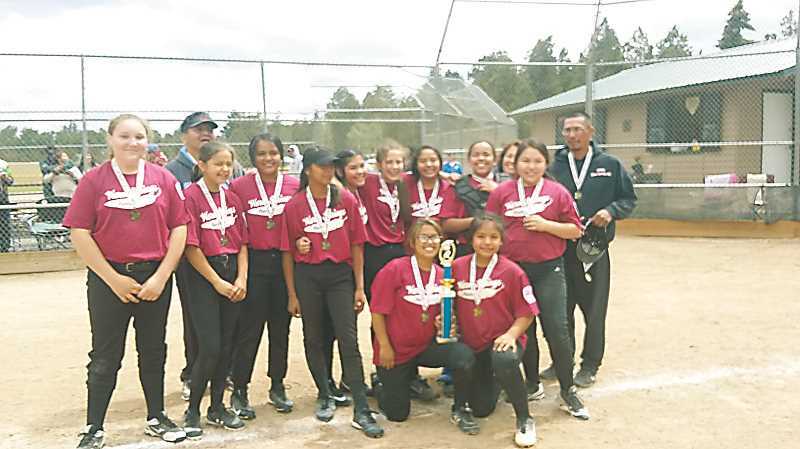 On June 16 and 17, the Warm Springs junior all-star softball team competed in district and went undefeated, winning all three games, giving them a chance to compete at the state tournament. Three teams competed in Redmond on Father's Day weekend, Redmond, John Day and Warm Springs. The Warm Springs all-star team started out the tournament by beating John Day in a lopsided 23-12 victory. The second game, however, was much closer as the squad played against home team Redmond, winning 13-10, and advancing to the championship game. Warm Springs played Redmond again in the final game of the tournament. The girls won 17-10, leaving Redmond in the dust and advancing to the state tournament in Clackamas. The Warm Springs all-star team will compete June 30, at 10:30 a.m., against a District 3 team from Pendleton. The games will be played at Riverside Park in Clackamas.